Synapse spoke with Curated Innovation founder Christian Bailey about his entrepreneurship experiences and leading a multidisciplinary innovation lab at LabCentral in Kendall Square. 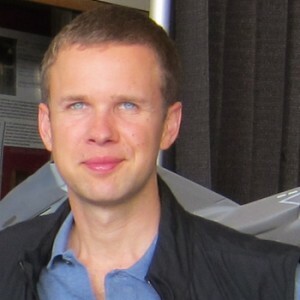 After studying economics in the University of Oxford, in 2003 Christian Bailey co-founded the Lincoln Group, a Washington, D.C.-based contracting firm that sourced and deployed advanced solutions to meet Department of Defense and Intelligence Community operations. Five years later, Bailey moved to Cambridge, MA and co-founded incTANK, a venture firm that partners with innovators, entrepreneurs, and research institutions to build successful companies based on compelling technologies. While also serving as an incTANK managing partner, Bailey completed coursework in molecular biology and materials science at MIT as an Advanced Study Program (ASP) Fellow. After leading a number of successful projects, Bailey founded his current company Curated Innovation, an MIT-fueled lab whose mission is to deliver breakthrough products that save lives. Prototypes being developed include an app for tracking and preventing skin-cancer with computer vision, technologies to improve mammography screening, and a drone that can rescue a human from dangerous situations. "I loved so many parts of incTANK - the interdisciplinary brainstorming, going to universities, looking around the labs, and talking to professors about what innovative technologies they had. But having actually studied molecular biology and materials science I did not just want to be an investor; I wanted to have my hands on the technology." SYNAPSE: How did you get involved with incTANK Ventures? BAILEY: I had two friends that with entrepreneurial histories like me, and we decided to start a venture fund with our own money. My friends had a focus on hard science, and since a lot of angels around here tend to invest in web projects or pure drug discovery-type biotechs, we saw an opening in materials and interdisciplinary innovation. We knew a bit of science but none of us were particularly strong in one distinct field (such as biology, chemistry, or physics), so we loved deals that were interdisciplinary - say, some technology from electrical engineering that had been applied to medical devices. That would play into our strengths, because we could find scientists to help us in different areas. And one thing I think is a strength of mine is continually picking up knowledge, just as any MIT student is able to acquire knowledge very quickly in a new area. SYNAPSE: What type of companies did incTANK invest in? BAILEY: One of our early investments was MIT spin-out Agravida, which had a really cool way of making cellulosic ethanol by getting plants to express an activatable switch for the enzymes that break down cellulose. Another company was founded by MIT electrical engineering PhDs who took their work in digital signal processing and applied it to make a more accurate blood glucose monitor. What they found is that labs tried to improve blood glucose monitors by having very precisely calibrated electrochemistry, and then they just read the resistance level of the blood on the teststrip. But there are a lot of inaccuracies that creep in due to different pHs, temperatures, or other substances that are in the blood. Rather than trying to make the calibration more precise, our founders had the insight that you could fire a complex waveform into the blood and by measuring what came out with digital signal processing you can actually correct for a lot of these errors. So they were able to produce a much more accurate blood glucose monitor for diabetics, and the manufacturing cost per unit was less than for existing products. SYNAPSE: Ligon Discovery was an incTANK company that you had a large role in. 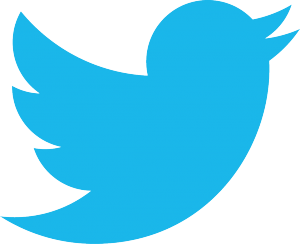 How did the company come to be? BAILEY: Ligon was a platform that basically turned drug discovery on its head. It was developed in Stuart Schreiber’s group between the Broad Institute and his lab at Harvard. Instead of spending a lot of time prepping the target (say an enzyme) to screen drug compounds with, you do the prep work on the drug compounds so you can screen a lot of targets. It became very cheap to add an additional target to the screen. Traditional drug discovery starts by understanding a disease pathway in which you have a cascade of how one protein affects another protein and another protein, etc. There might be fourteen proteins all involved in one simple disease pathway. Traditionally, it was very expensive to do screening against 10,000 or 100,000 drug compounds. You would only screen against one protein, so you would have to figure out which is the highest value target in that pathway. But with the small molecule microarray approach that spun out of the Broad through Ligon, because it is so easy to add an individual protein, you can screen every target in the pathway. Then you would find two or three targets that the drugs bound most selectively to and you say: “OK, we are going to attack these targets”. You never would have had that ability prior to Ligon. It is also really useful for some disease targets. For example, one that is involved in almost all solid tumor cancers. It is a transcription factor, and transcription factors are kind of like wet noodles. They do not have enzymatic activity but rather change gene expression. So that means most of the traditional drug screening approaches don’t work since you can’t use an enzymatic assay to read out a decrease in activity with the drug. But with Ligon’s small molecule microarray approach, you could find putative drug compounds that would bind to even a transcription factor. So we invited our seed investors, spun it out of the Broad, and got it all running. When incTANK invested in Ligon, I served as the interim CEO because even though the science was very strong, it turns out that it’s very hard to do deals with large pharma companies as they tend to be slow and conservative. I served in that role for about a year, during which time I was able to get deals done with large pharma. We ran their very high interest protein targets through the Ligon platform and gave them the results of which drugs were binding to which targets. They paid us upfront for all the cost, and we had a 50/50 share in the backend so we would partake in 50% of profits from those drugs they took forward. SYNAPSE: Did you build your own lab space for Ligon Discovery or rent from an incubator like LabCentral in Kendall Square? 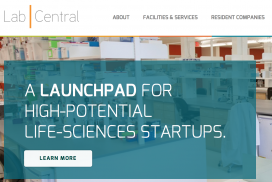 BAILEY: Ligon was founded back in 2010 - I wish LabCentral had been around then, because we blew the first $500K of angel money just setting up a lab. That is what biotech used to be, whereas now here at LabCentral you can rent one chair for one scientist for $4K a month and have access to $10 million of equipment. Here you do not have to buy a lot of lab supplies like tubes; instead there are vending machines and you scan your RFID card to take what you need. So instead of the $500K that we spent to get started on Ligon’s first experiment, we could have rented a seat here for three months for $12K, almost two orders of magnitude cheaper. We subleased space from a big biotech here in Cambridge, but we had to set up the whole lab ourselves. Luckily we had two smart scientists who were very good at scavenging on Craigslist for cheap biotech equipment. SYNAPSE: How did your work at incTANK lead you to found Curated Innovation? BAILEY: I loved so many parts of incTANK - the interdisciplinary brainstorming, going to universities, looking around the labs, and talking to professors about what innovative technologies they had. But having actually studied molecular biology and materials science I did not just want to be an investor; I wanted to have my hands on the technology. So I thought: “How do we get funding for very early-stage projects?”. It seemed to me that angel investors are very reluctant, even in New England, to fund early stage science. My idea was that instead of funding projects through traditional investment vehicles, we would find people in the world that have a big problem and would pay us to solve the problem, even if they were not going to make a profit out of it. From that I launched Curated Innovation, which is kind of like an alternative source of LP (Limited Partnership) money or angel money. I’ve also kept in mind a discussion I had with the head of the Harvard Office of Technology Development. He told me that about once a month an alum comes to his office wanting to write a check to Harvard for tens of millions of dollars to set up some institute to focus on a disease of personal importance. And then the donor gets frustrated 3 or 4 years down the road when no product has come out of it. Because when you give money to academics they usually publish papers, which does not impact patients immediately. So for Curated Innovation I tried to marry the world of venture, in which entrepreneurs are focused on building or shipping something, with the philanthropic world which tries to solve a problem. It is a way to mobilize people in the world who are passionate about solving a problem, and have capital to do so, with the latest university science at MIT and all over the world. SYNAPSE: Earlier you said that New England angels are hesitant to invest in early science. Why you think that is? BAILEY: I don’t think it’s because the investors are irrational. Early-stage life science is hard, and even if you pick well, the liquidity period can be really long. For a portfolio company to be successful to the investors, it must make an exit within five years. A life or hard sciences company usually operates on a much longer time scale of about fifteen years. As an example, a friend of mine who is a student at MIT started a fund for alternative energy startups. The fund has a twenty year life instead of a ten year life, so they are willing to invest in startups that may have a much longer period before needing to exit. I think the long liquidity period is something that turns investors off - and also, those types of companies often require very specialized knowledge. Many of the investors have been burned by a biotech that didn’t work or doesn’t work as well as something else out there. It’s hard for a lot of angel investors to really know a field well, and just because a big-shot professor at MIT or Harvard has an idea doesn’t mean that theirs is best approach in the world. That is one reason why Curated Innovation is really passionate about not just looking within MIT but leveraging the human network of MIT to reach out to young researchers and junior faculty at institutions all over the world. "He came to us and said: ‘What can you do for skin cancer? We want to do something within four years.’ "
SYNAPSE: Tell us about a project Curated Innovation is working on. BAILEY: Our first project, Constellation, began when someone came to us with a 21-year old with stage four melanoma, which is basically a 50% death sentence. He came to us and said: “What can you do for skin cancer? We want to do something within four years.” With that timeline we are not going to do a drug, but we started talking with oncologists, dermatologists, and others to brainstorm how we could make an impact. And that is an important part of the process - you may not even start with a well-defined problem, but just an area that someone is passionate about like skin cancer. We then had to do this back-and-forth dance between the technologies, the solutions that are out there, university labs, and other experts like oncologists and patient groups. And by dancing back and forth between the groups, we discovered that dermatologists are not doing the most important screen, which is to track a mole’s change in size over time. As you probably know, cancer cells go through unrestrained growth, so it is definitionally impossible for a mole to become cancerous without growing or changing shape. Cancerous moles are usually spotted when they are asymmetrical or have uneven coloring, but you can catch them earlier and more conclusively by seeing them transform from being symmetrical to growing and becoming asymmetrical. Tracking the mole by hand is something that the Skin Cancer Foundation recommends. It says we are supposed to print a body map, measure, and draw all of our moles, which is incredibly time-consuming. At Curated Innovation we defined the problem as one that can use advanced computer vision: a cloud-based algorithm that could take selfies from a smartphone, extract the moles from each photo, and see if any moles are changing. That was our challenge two years ago, and we looked to about 100 universities around the world to find the best computer vision engineers with some really cool algorithms. The field has actually made big strides; five years ago the Google self-driving car would not have been possible, and today it is literally self-driving because there have been big advances. So we leveraged those, and now we have a prototype that works using ordinary photographs from your smartphone to track your moles. So the philanthropist that came to us two years ago does not just have a paper to show for his money, he has a product which is going to influence a lot of people. SYNAPSE: How have you decided who to hire for the Constellation mole tracking project? BAILEY: Technically, we needed primarily computer vision people. I brought on a group of PhDs who had worked in industry as well. They coded some of the algorithms that the DOD (Department of Defense) is using to detect roadside bombs in Iraq and Afghanistan. That project involves taking grainy imagery of the ground from drones and looking for like a pile of trash or a dead animal that was not there yesterday -- where insurgents would hide a roadside bomb. 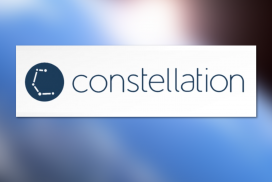 Constellation’s mole tracking in photographs is quite analogous to that, and since we are looking for people who have solved a related problem in an elegant way, it made sense to hire them. SYNAPSE: So you sought these people out based on their prior projects? BAILEY: Yes, the best hires come from asking someone: “Who do you know that is doing X really well?” and searching them out rather than simply choosing from people who are actually looking for a job. That is why for students I would say one of the best things you can do is work on projects. Even if it is unpaid, work on projects that you are passionate about and think are cool - that’s how you are going to stand out to people. Have them come to recruit you, rather than you applying to them. The best jobs are often not advertised. SYNAPSE: How do you make the connections to get face time with dermatologists and academics? BAILEY: We have been really lucky in that regard, and I think that’s partly because we all have a love of academia ourselves, so when we go an meet with the professor we’ll sit by a whiteboard and have a brainstorming session. There are professors at MIT who don’t like to meet with the corporate sponsors who are giving them money because they have to put on a suit and give a formal pitch. Instead when we go, it’s kind of like a lab meeting including the postdocs or PhD students, and we will ask them research questions: ”Do you think it would be alright to use this in that area?” Professors are usually receptive to that type of meeting. The other thing is that almost every professor in the world wants their work to be relevant in solving problems for real people. So if we can take technologies invented by them to save lives, professors and doctors get very excited about that. SYNAPSE: How do you publicize Curated Innovation’s services to philanthropists? BAILEY: We have been really lucky and haven’t done any outreach. Sometimes it comes through MIT because people come to MIT to solve a problem, so a professor would tell the philanthropist to come to us. We also get referrals through word of mouth. SYNAPSE: Do you see these types of technologies funded through philanthropy, or could there be a business model that creates profits? BAILEY: Curated Innovation is set up as a 501(c)3, and the goal is to find people who were not expecting to make a return but just want to solve a problem. But once we build a prototype and de-risk it, the best chance of taking it to the world is to spin it out - just like MIT can spin out a company, Curated Innovation can spin out a company. Then it becomes open and investors can fund it. SYNAPSE: With projects that involve external professors’ or doctors’ consultation, is that relationship intended to be long-term or just provide early stage advice? BAILEY: Great question. It could be either. We try to make it a lot more fun than consulting. We don’t just pay the professors or doctors in cash, but we give them some equity the project. That way if there is a resulting spin-out, they have more meaningful participation and ownership in the company than just consulting for paid hours. SYNAPSE: What core team of academic advisors does Curated Innovation rely on? 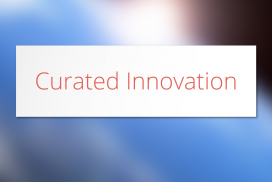 BAILEY: Our advisors, who are listed on Curated Innovation’s website, have been chosen because they’re what we call, "curators of innovation." They are able, whether in biology, physics, or aerospace, to very quickly understand what makes an invention in one field better than others and speak the basic language. Ed Boyden is the classic example. He actually coined the term ‘curated innovation’, which is where we got the name from. And his leadership in optogenetics is because he was able to take advances from marine biology to find a channelrhodopsin appearing in nature with genetics to isolate the DNA encoding the channelrhodopsin. He then partnered with virologists to create a vector that specifically gets into mice brain cells, and then he had to work with a whole different class of experts, like micro-fabrication and optical engineers, to shrink this device small enough to install on top of the mouse brain. There are now a thousand universities and institutes all over the world that rely on optogenetics to study the brain, which is pretty awesome. "Focus on approaching people who are five years ahead of you at a successful startup in your desired role and asking them to meet with you for coffee." SYNAPSE: How should potential entrepreneurs to network effectively with the goal of increasing their knowledge of a field or finding potential job opportunities? BAILEY: There are a lot of networking events but often those aren’t terribly high quality. You can go to an event and meet a lot of people, and it is important to do that at the beginning to expand your network. But once you know a hundred people in the startup world, it’s better to be more selective and think about not just what kind of startup you want to work for, but what you want to do in the startup. One of the questions I asked myself - it kind of gave me the push to start Curated Innovation - was, “If I had a billion dollars in the bank, what would I do with my time?” For me it would be: go to school, do problem sets, and tinker with electronics and technology. Another question to ask yourself is, “When was the time in the last five years that you were doing something that most people consider hard work but you were so enthralled in it that you lost track of time?” Again, for me that was doing problem sets. I would look at my watch and it would be 4 AM, and I would be completely surprised. For everyone, that answer is something slightly different. Some people love conversation and they’d probably be good for a sales role in the company. Some people might love team exercises they did at MIT, and that might make them a good CEO if they can make the most of a team. Some people might love the coding they did in course 6 or in computational biology. I say the first thing to do is ask yourself what role in a company you’d really enjoy. Then it doesn’t matter so much which startup you join - as long as you enjoy what you’re doing you’ll probably make a large contribution. Finally, when networking I would focus on approaching people who are five years ahead of you at a successful startup in your desired role and asking them to meet with you for coffee. Most people are approachable, so you shouldn’t hesitate to email anyone to meet your over coffee for 15 minutes, especially from an MIT email address. SYNAPSE: For PhD students who are interested in leadership, what would you advise them to do to develop skills that they need to be successful? BAILEY: Well, I think getting an MBA and taking management classes would be the traditional answer. If you look at the strongest CEOs, they didn't have MBAs: Bill Gates, Steve Jobs, former GE CEO Jack Welch. Even Drew Houston, the MIT alum who started Dropbox, spent a summer on the roof of his fraternity reading management books. So the actual how-to's you can teach yourself if you are really motivated. I think the bigger thing to figure out is: Do you have a passion for people? It’s easy to assume that a company’s leader is doing everything, but usually they aren't. The leader is often not the intellectual one, the leader is the one who is taking the roadblocks out of the way of other people. The person who is credited with probably being the greatest CEO in the U.S. is Jack Welch. He wasn't exceptional at any of the executive functions, but he was really great at finding talented people and getting the most out of them to run the different divisions of General Electric. So if you want to be a top-notch leader you should figure out if you are the type of person who doesn’t need to have all the answers and work everything out for yourself but enjoys pulling people together to develop a motivated team. SYNAPSE: What were your primary considerations when determining whether to invest in a particular company? BAILEY: Budding entrepreneurs always ask every VC that question! The usual answer is “Team, team, team”, in addition to other things. I think that mantra is true - having a really strong founding team that works well together is crucial. That way if the original product fails, the team is going to be resilient and reiterate, changing the product until it matches what the customer is looking for. I think that’s the most important thing in venture. SYNAPSE: Your varied past experiences show that you’re nimble in business, having jumped around from industry to industry. From your perspective, what the pros and cons of crossing over industry boundaries and working in a new sector? BAILEY: The biggest pro is that it’s very enjoyable. I loved that I had the opportunity to go back to school. I think all of us probably wasted a bit of our undergrad years, and to be able to do that again was really great. I am constantly stimulated and learning things. The con of jumping around totally different fields is that most successful people on Earth are incredibly focused: Mark Zuckerberg has been doing the same thing since he was 19 or 20 years old, as has Bill Gates since he was 19. Same goes for a performance cellist or an academic researcher. So generally to be world-class at something, you need to focus early. But increasingly, I think there is a lot of risk in that. I think your risk is lower by having an interdisciplinary focus, because you become valuable to more people in a wider array of situations. Interview originally conducted on 10/26/15. Synapse: the MIT Biotech Report is a publication of the MIT Biotech Group. Stay updated with new content!